As the RBHS girls’ soccer team stepped on their home field April 20, they weren’t too sure what they would be up against. They were to play Pleasant Hill High School, a team which the roster had yet to face this season. Although the Lady Bruins didn’t know much regarding their opposition, they still kept a highly competitive mindset long before the game had started. The team started the game off with a strong performance, scoring a total of three goals in the first half. In that duration, Pleasant Hill managed to score a goal of their own. By halftime, RBHS led Pleasant Hill 3-1. 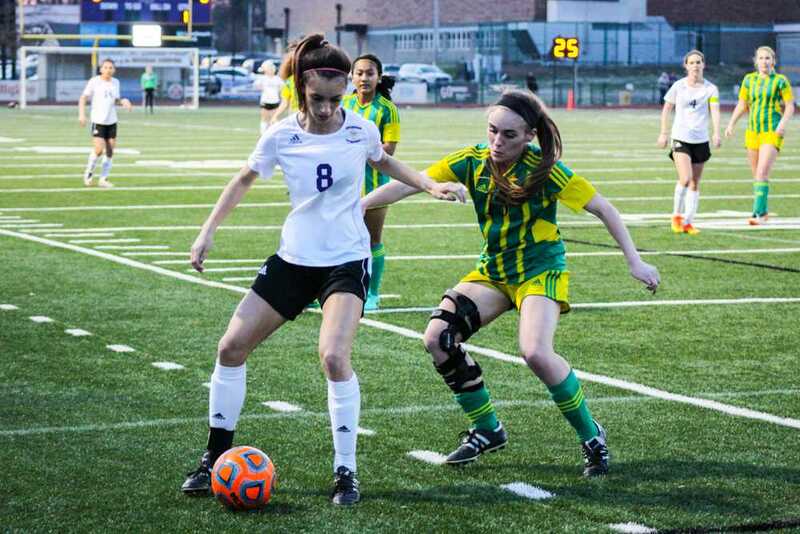 Although RBHS had the lead, junior forward Payton McCallister knew that the team would need to continue playing at such a level to ensure they would continue to flourish on the field. “We came out very strong and got three goals in the first half, but we still needed to come out strong in the second half,” McCallister said. The second half was a much different story than the first. Pleasant Hill, eager to get back in the game, scored their second goal 10 minutes into the start of the half, cutting the RBHS lead to 3-2. Not long after, the scoreboard read 3-3, and the matchup was tied. As both teams searched for an opportunity to emerge the victors, regulation ended, and the game went into overtime. During overtime, the two teams continued to battle it out. Ultimately, however, penalty kicks decided the game for RBHS. The Lady Bruins managed to sneak in one goal during penalties, clinching a 4-3 win for RBHS. Now, the Lady Bruins look to continue their current trend of triumph in their next scheduled matchup vs. Fort Zumalt West April 24. The game will the first of three in the St. Dominic Tournament, which will take place from April 24-27. “We look forward to the [Fort Zumalt West] game so that we can implement some of the things we’ve been working on,” Adelstein said. How do you think RBHS will play in the St. Dominic Tournament? Comment and let us know.